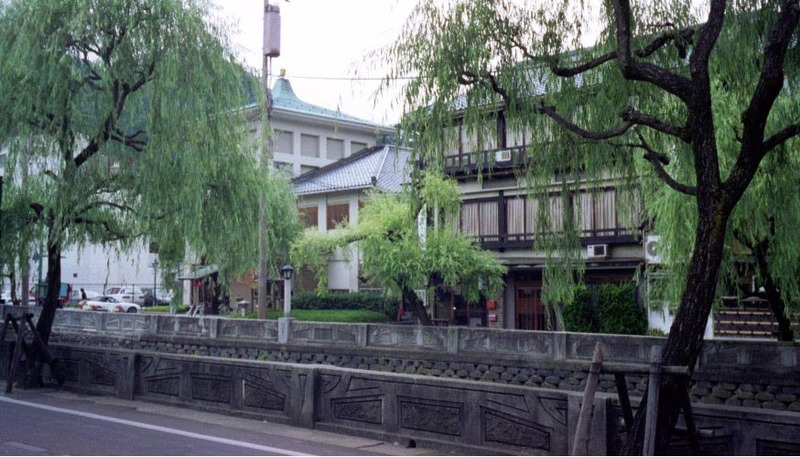 The big attraction in Kinosaki was the ryokan, O-nishisuishooen. 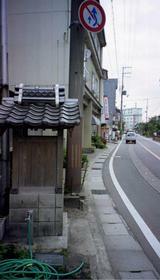 After leaving the ryokan, I explored the town of Kinosaki for a bit before my train showed up. 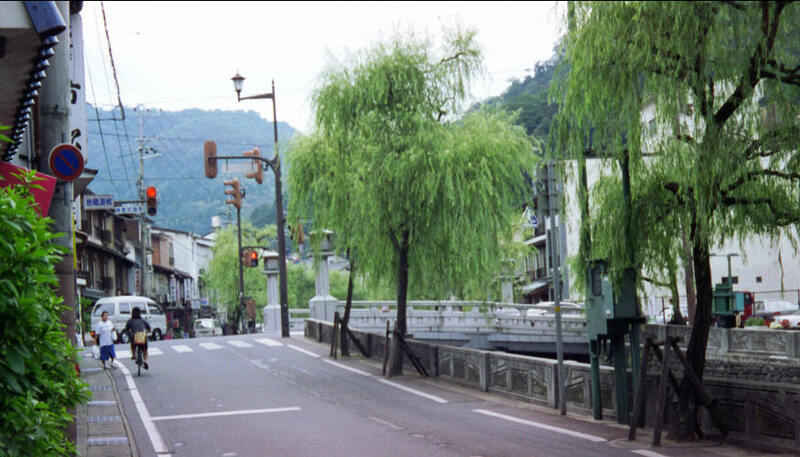 They've got a gorgeous downtown, with the river through the middle of town now a willow-lined walkway. The town is built around the end of an inlet from the Japan Sea. It's the only place in Japan where I saw organized rowing (click on the image for a better look). 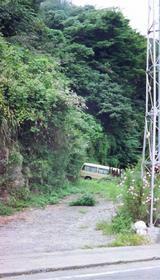 So, while walking down the street away from the ryokan, I saw this little box two feet off the major road in town. 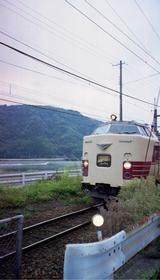 Here's the train coming in to take me onwards to Wadayama. Kinosaki is literally the end of the line for this train. 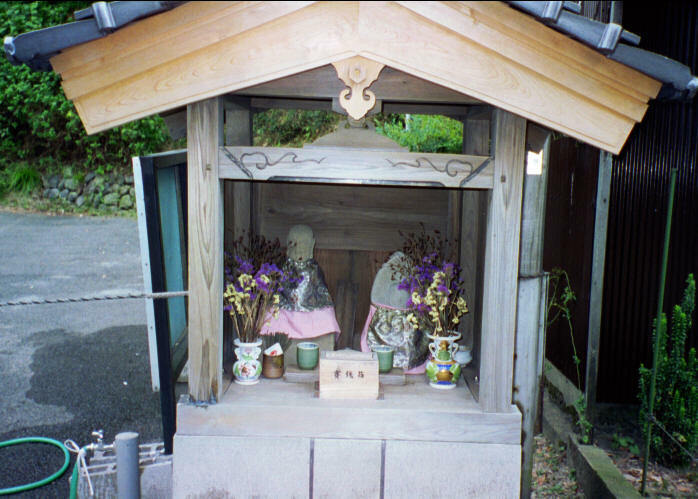 It turned out to contain this small shrine (I assume a small-scale shrine like this is Shinto). I was to realize this is a not-uncommon sight. Even in major cities like Tokyo, much less in countryside one like Kinosaki, some propertyowner will start such a shrine, and people from the area will often help maintain or expand it.